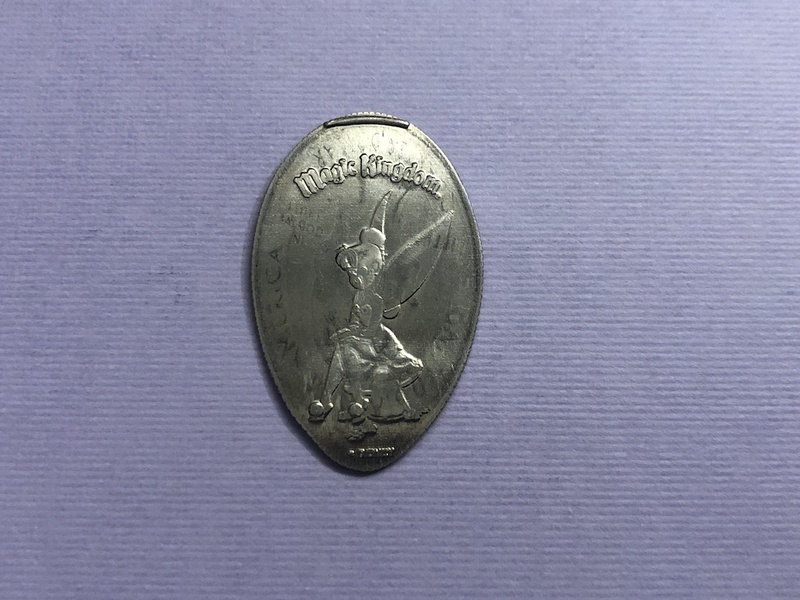 This is a follow-up post to the one I wrote last week about the new 2019 pressed coins at Walt Disney World. As I mentioned in that review there were four machines that had 2018 designs, but not 2019 designs. So that meant that something needed to go into those machines to fill the gap. It didn’t take too long after all the 2019 designs were released before we found out. 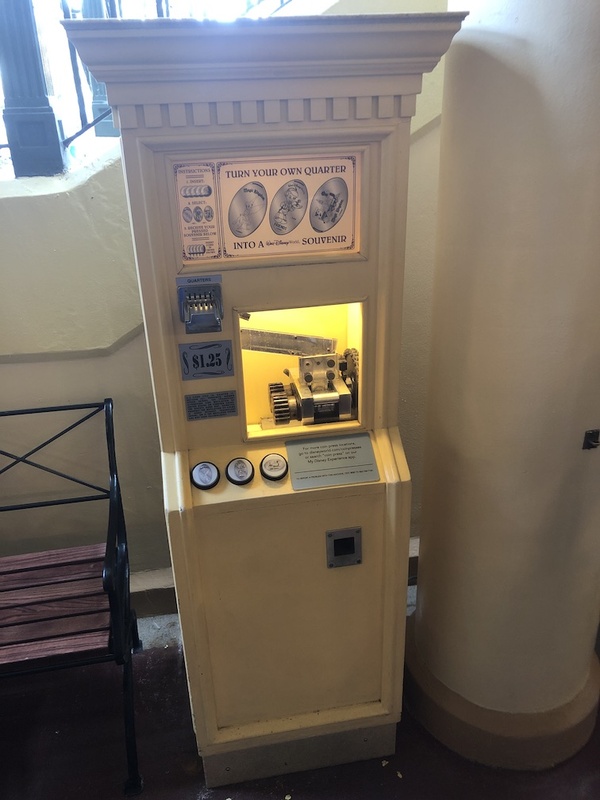 The first machine is over at the Magic Kingdom in the Main Street Train Station. 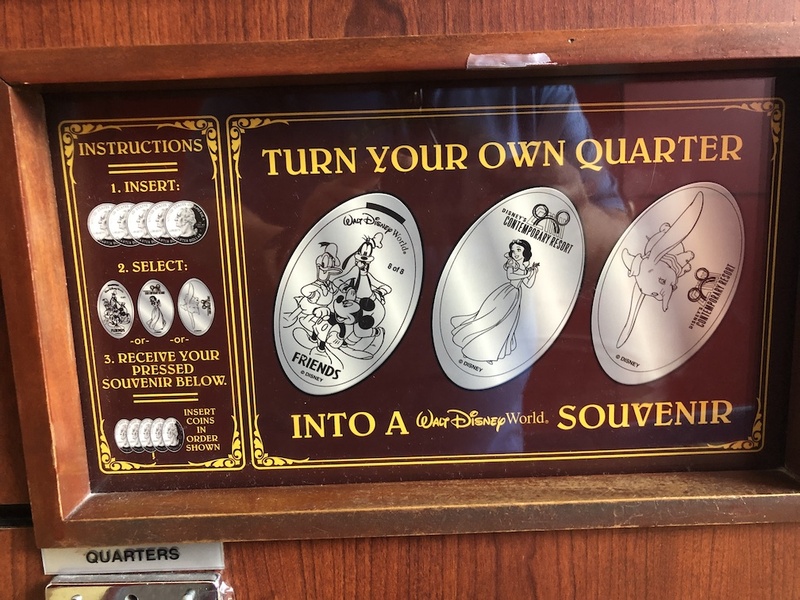 This is a pressed quarter machine that has had a dates design for the last few years. 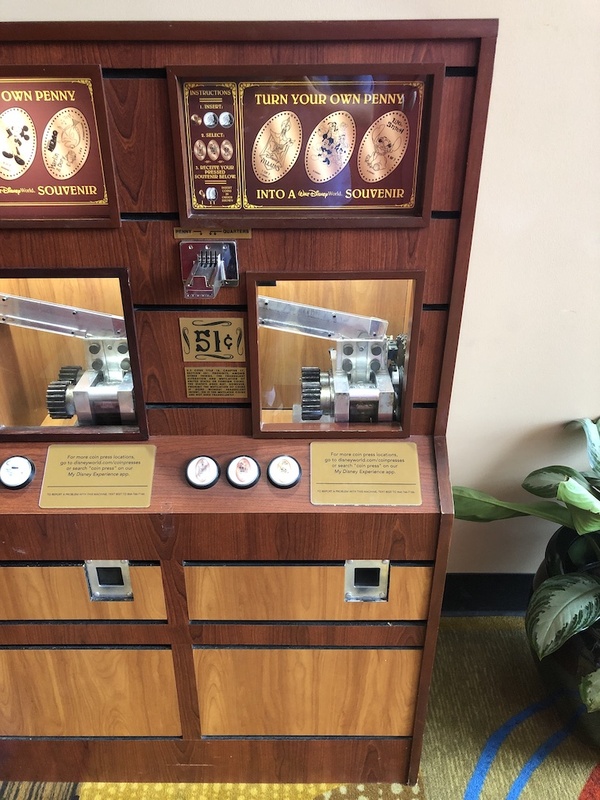 For 2019 the quarter design was relocated to the Emporium, and the die was basically just swamped with this machine. The Tinker Bell design has now been moved from the Emporium to the Main Street Train Station. 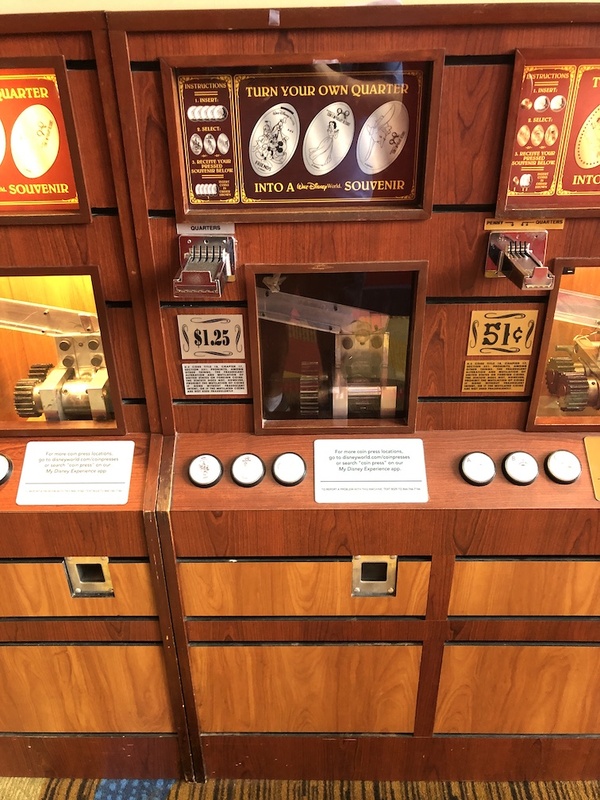 The next machine was kind of all over the place last year (2018). 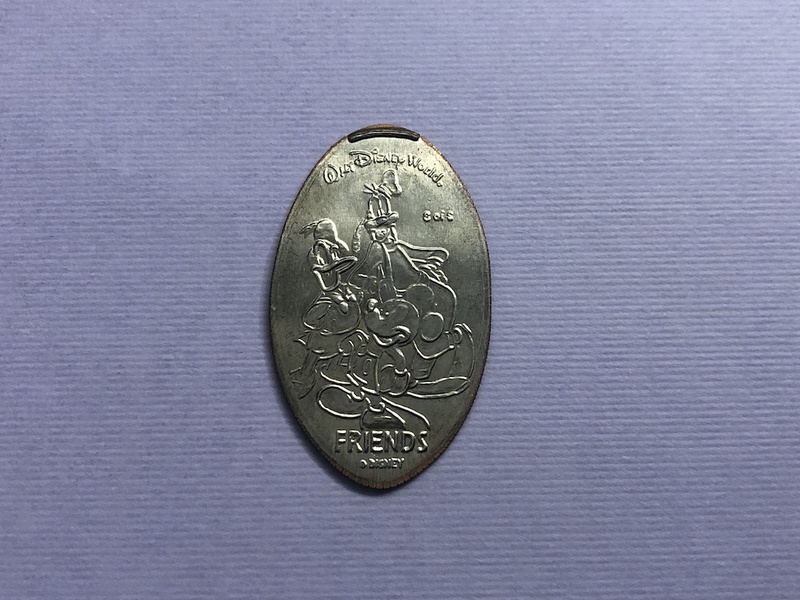 Initially the 2018 pressed penny design was located at the Grand Floridian Resort. Then about half way through the year the machine was moved over to the Yacht & Beach Club Resorts outside the Lafferty Arcade. 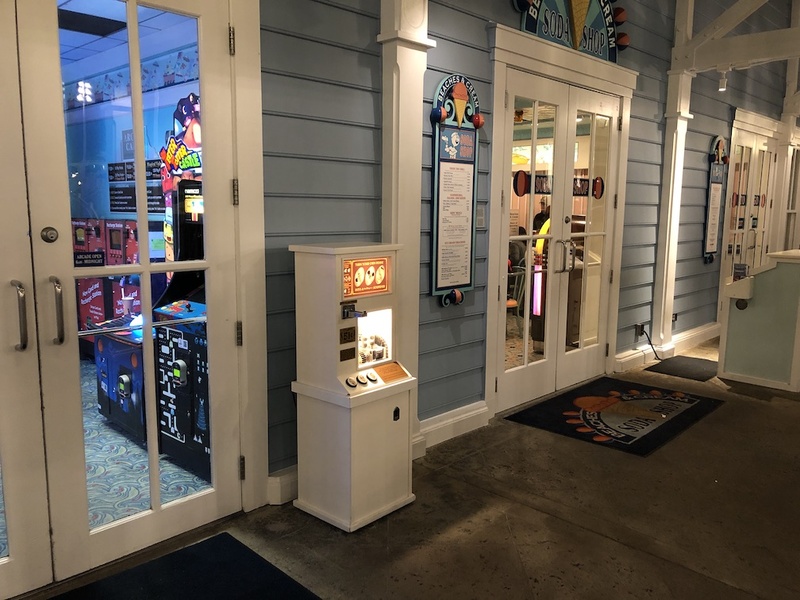 Now for 2019 the dated penny design was moved over to the Polynesian Resort in the penny machine on the second floor of the Grand Ceremonial House near the Moana Mercantile. 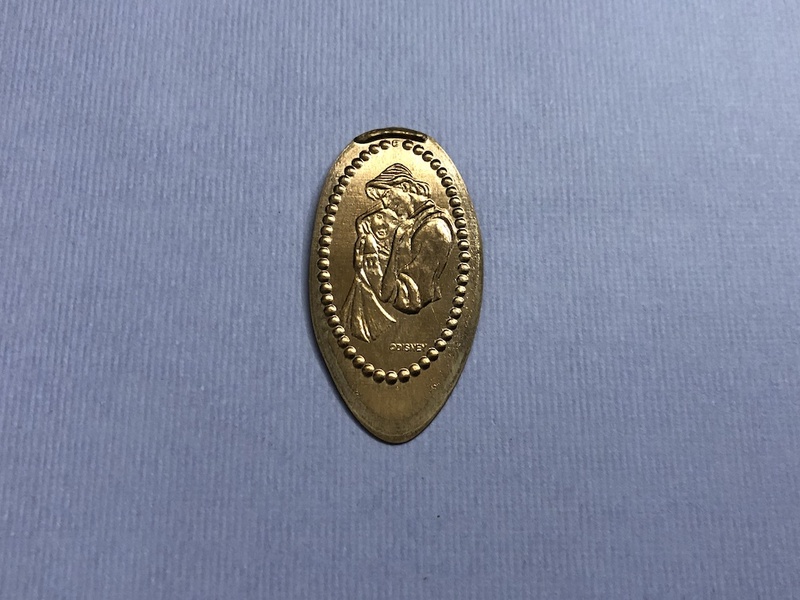 The penny design at the Polynesian Resort of Pocahontas and John Smith has now been moved to the Yacht & Beach Club machine. 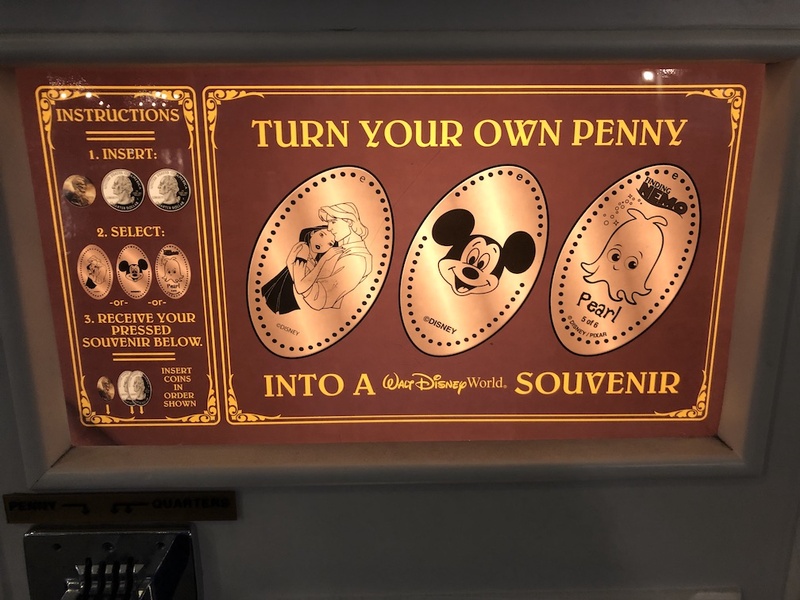 The last two machines are over at the Contemporary Resort, one quarter design and one penny design. 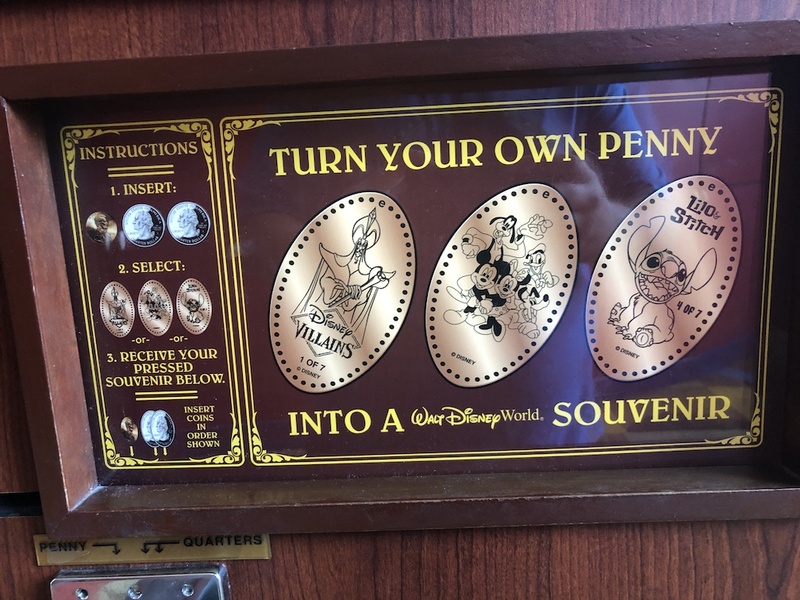 The 2018 quarter design was replaced with a design of Mickey, Donald and Goofy that was part of the Friends mini-set. This design was previously located at the Grand Floridian Resort outside the 1900 Park Fare restaurant but had been removed last summer. 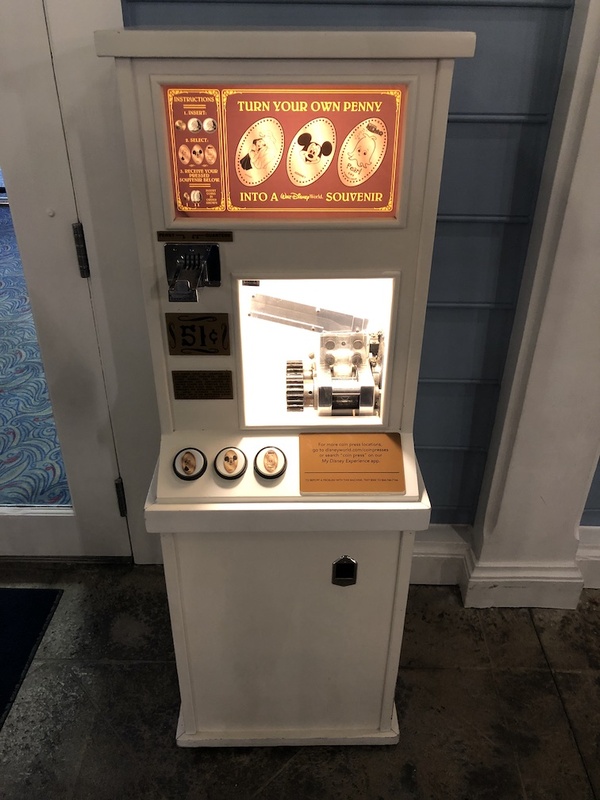 Lastly is the pressed penny machine at the Contemporary Resort. Unfortunately the machine wasn’t working when I initially visited earlier this week. But the nearby market had some extra on hand when I mentioned the machine wasn’t working. This may not always be the case, but if you run into this situation it doesn’t hurt to ask. 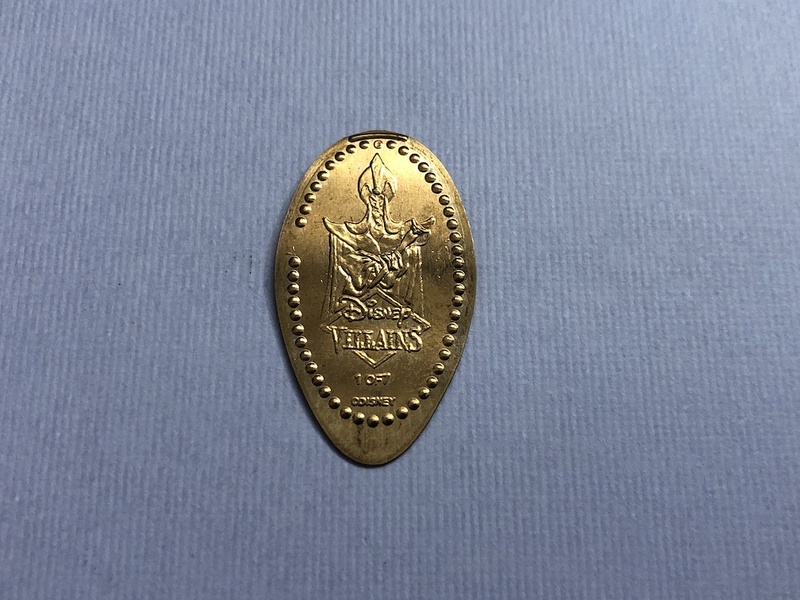 The penny design was replaced with an old design of Jafar from Aladdin that was part of a Villains mini-set. This design was removed over 5 years from Cap’n Jack’s Oyster Bar in Downtown Disney (yes that long ago). This is what I was hoping they would do and bring back some of these numbered mini-set designs that have been taken away over the last few years. These mini-sets made for some fun trips around property to collect but unfortunately now most of these numbered mini-sets are incomplete unless you happened to press some of the designs years ago. 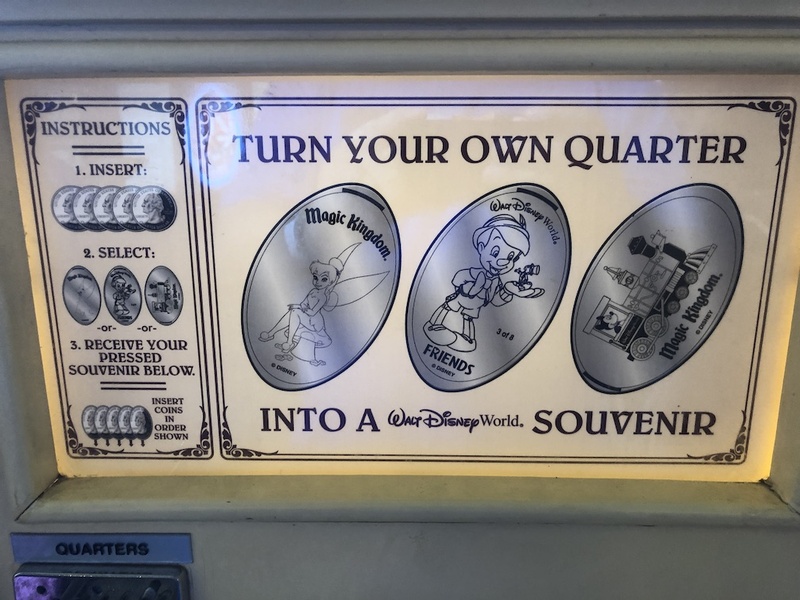 Well that completes the 2019 machines and the removal of all the 2018 designs. 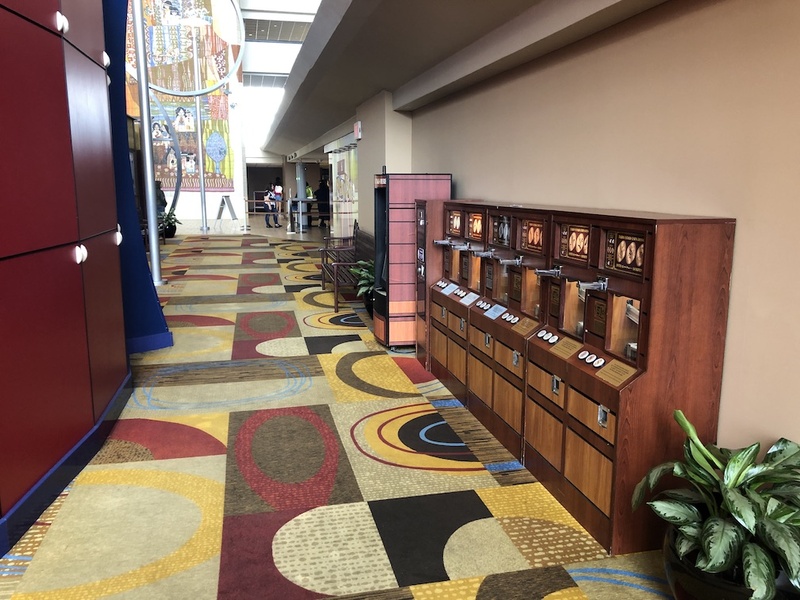 Be sure to check back often for updates on new machines or any existing designs that are relocated. Happy Collecting!